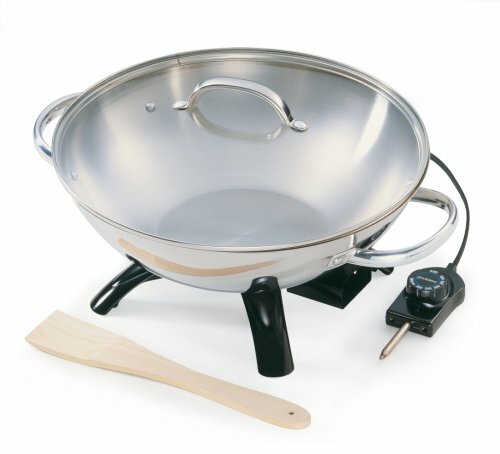 PRESTO STAINLESS STEEL ELECTRIC WOK Prepare healthy, delicious stir-fry meals quick and easy! � Stir-fry cooking sears ingredients fast in a small amount of oil preserving nutrients, fresh colors, flavors, and textures. The wok's body and handles are made of luxurious stainless steel. Tempered glass cover also features stainless steel rim and handle. Special aluminum-clad base provides fast and even high-temperature cooking. 120 volts AC, 1500 watts One year limited warranty. Ecolution Hong Kong Chopstick House 14 in. 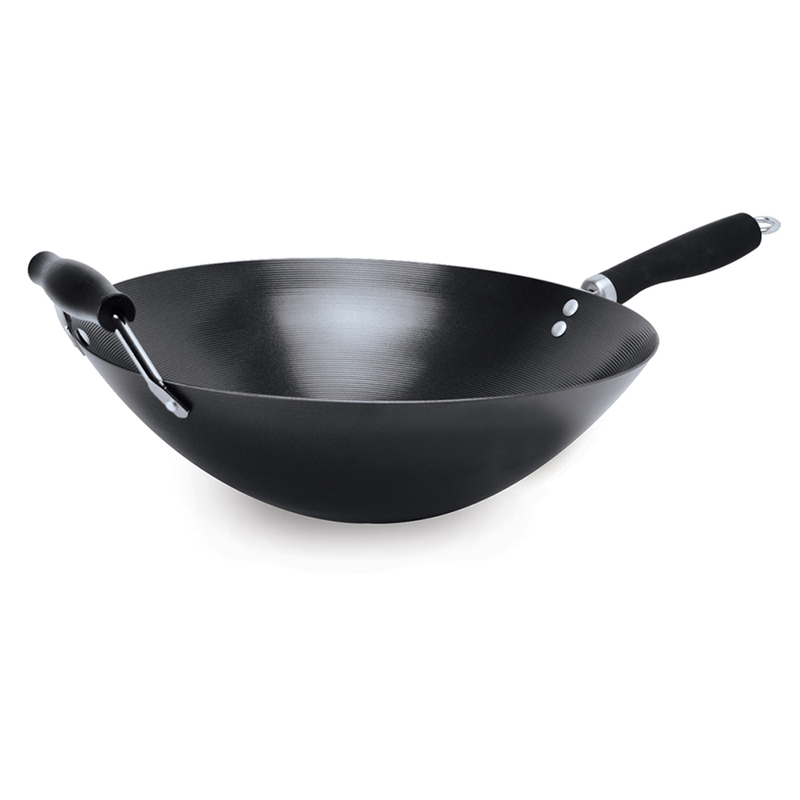 Wok with Helper Handle Description: Made of carbon steel and nonstick interior coating this Wok is ideal for your cooking needs. It has a soft touch riveted handle making it easier to hold. Non stick is PFOA free so that it is better for the environment. 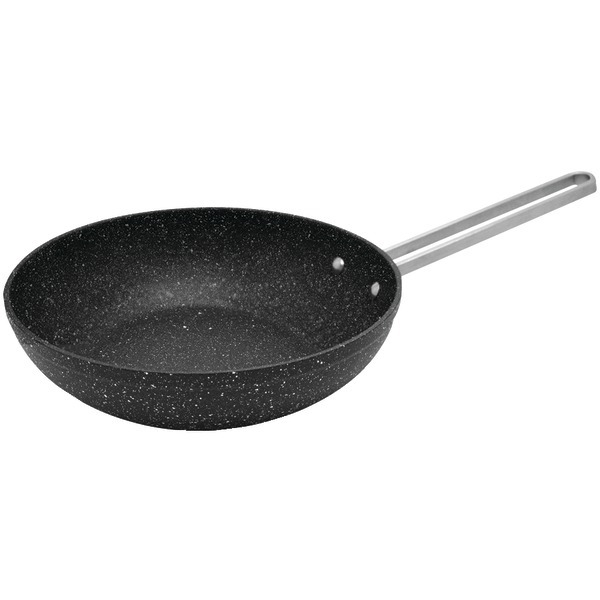 Wok has a flat bottom for better balance and is suitable for all heat sources, including induction. After your purchase please consider how to recycle your old cookware. com to get a listing of local charities to donate your cookware or ways to renew/ recycle your old pans, you know “the other stuff in your cabinet”. Ecolution believes that cooking well in the kitchen and doing good for the planet can happen at the same time. From our family of chefs to yours we say Cook Well. Heavy duty carbon steel gauge Flat base suitable for all stovetop surfaces; including induction Dishwasher safe Lifetime Warranty . 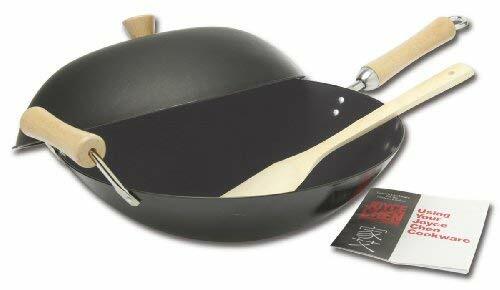 COOK PRO� 14"" Carbon Steel Wok 511 Professional Heavy Duty Wok constructed in long-lasting 1. � Also features a long wooden handle and an assist handle to provide comfortable handling. 519 13” Chinese Wok Our lightweight cast iron cookware offers distribution for excellent temperature control without the weight or discomfort of traditional cast iron products. Heat resistant handle and an assist side handle. Pre-seasoning coating on interior surface & silicone coated exterior.